It’s that time of year again. Many retailers are on a mission to beef up their staff rosters so they’ll have enough floor coverage and extra help, to handle the increased traffic coming into their stores. And, let’s face it, many of our customers are going to be subjected to some confused new hires who don’t know as much as they should. But let’s not be too quick to blame those new seasonal employees. Even though many of the new seasonal hires will only be with you for a few weeks, they can add a lot of value if you do certain things right. Over the years, both as a customer and as a District/Regional Manager I’ve heard lots of comments about seasonal people…usually implying that something went wrong in service delivery, or mark downs, or visual display, or cleanliness or, whatever… due to the fact that seasonal people were involved. That’s a cop out and it’s unfair. If you’re going to invest the time and effort to recruit and hire people – seasonal or not – then you’ve got to make the most of the investment. There’s no room for the excuse “s/he’s just a temp” when it comes to your store(s) and your company’s reputation. People who are looking for seasonal employment may not be your regular job seekers. Some want to get into the workforce temporarily to earn a bit of extra income, and some may want to see if retail is something they’d like. Others may find that it’s easier to land a job when so many employers are trying to find people. Whatever the reason, once hired, many of them shine. There have always been at least a few seasonal employees that I encouraged Store Managers to hire on a permanent basis following the holiday period. Of course, there are the others as well…the ones that make you say “What were we thinking?”. You know…the party animals who show up late for their shifts looking like death warme d over, and the chatterboxes, and the timid ones standing as far away from customers as possible, and the loud, boisterous ones who think they know everything (when they clearly do not), and the list goes on. Want to really add value to the seasonal hiring effort this year? Want to get something out of the process? You don’t have to put tons of time in or take your other people out of their stores/districts to make this happen. If you have hired seasonal employees who are new to retail, or sales and customer service functions then give them a copy of the Retail Selling Skills & Customer Service Fundamentals Self Study Course – something that t hey can get through quickly and easily.. something that will help them get ‘in tune’ with what you expect from them and give them some skills to bring to the job. Give them this self study course and the party animals, the timid, the chatterboxes and the know it alls will, at the very least, understand that you expect more from them and that you’re investing to make sure you get what you expect. We guarantee it. This time of year is way too important to leave this to chance. If you can help your new people get up to speed quickly enough to make a difference this season, why wouldn’t you? Consider this very simple example. Your seasonal employee, Jane, will help clean and organize the stockroom, she’ll change lightbulbs and keep displays tidy, she might even be a really friendly greeter when positioned at your lease line. You may be very happy with Jane. But if Jane learns some sales & customer service skills she can be more productive by actively selling to customers, in addition to her other duties . Depending on your average sale, if Jane made just a few good sales, you’d recover your investment in the Retail Selling Skills & Customer Service Fundamentals Self Study Course in no time. 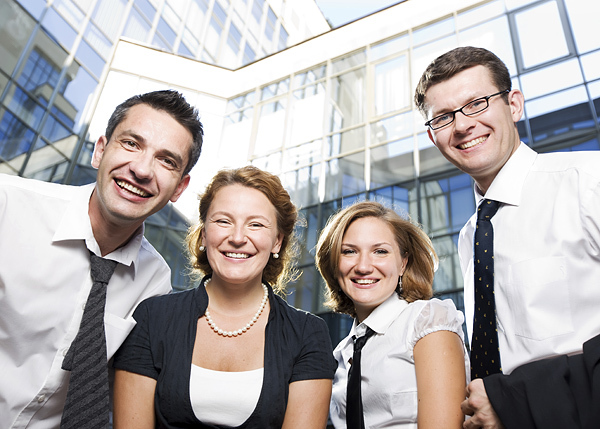 You can decide to make your seasonal employees a valuable asset this year. P.S. : Get your copy of the Retail Selling Skills & Customer Service Fundamentals Self Study Course now and take advantage of the $50 off!